EXCLUSIVE: INTERVIEW WITH PINEAPPLE EXPRESS !! 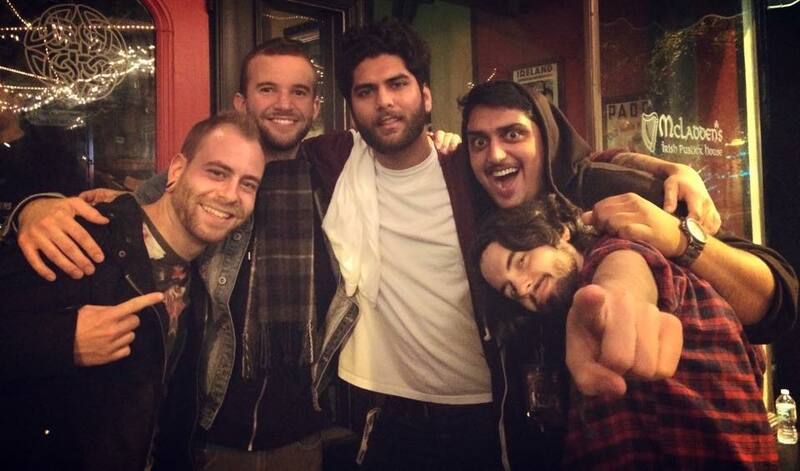 EXCLUSIVE: INTERVIEW WITH RISHABH SEEN OF MUTE THE SAINT !! 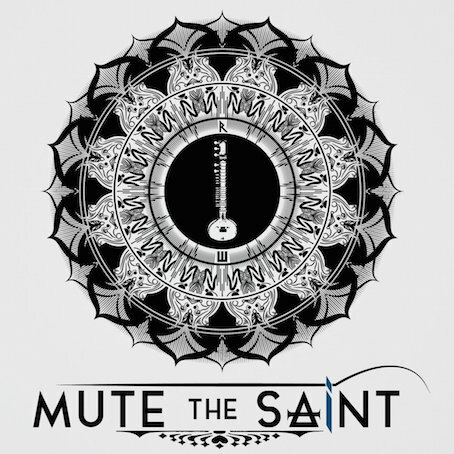 Sitar Fronted Instru-metal Four Piece From India, Mute The Saint Has Just Released Indian Classical Music Meets Modern Prog Metal Record “Mute The Saint” !! VIDEO MESSAGE TO JAPAN FROM DEVESH DAYAL OF SKYHARBOR!!! 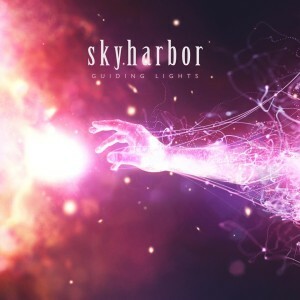 SKYHARBOR WILL RELEASE THEIR 2ND ALBUM “GUIDING LIGHTS” ON 11/10 !! 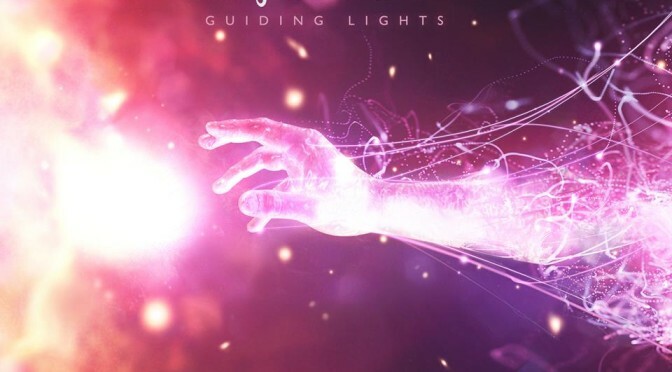 Guiding Lights offers 10 new tracks of exhilarating and heady progressive music, weaving a sonic tapestry of technically beautiful and imaginative melodies around crunchy metal riffs and sweeping, atmospheric vocals. 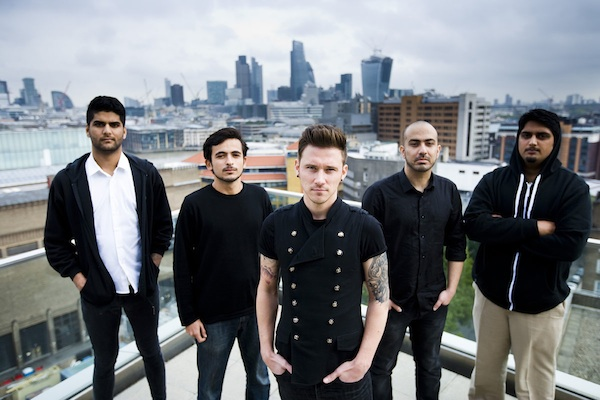 The album was funded by fans after a fast-paced and successful PledgeMusic campaign and has been mixed and mastered by legendary Australian producer Forrester Savell (Karnivool, Animals As Leaders, Dead Letter Circus). T5 HALOGEN, タイトル曲の長尺曲 T8 GUIDING LIGHTS を聴けば TESSERACT よりもさらにオーガニックなアトモスフィアを追求する彼らの挑戦が感じ取れると思います。だからと言ってキャッチーさが後退しているかというと全くそんな事はなくアルバム最後を飾る T10 THE CONSTANT などはこちらも10分近い大曲ですが DJENT の持つダイナミズム、ポストロックのアトモスフィア、プログロックの構成美、新世代オルタナのキャッチーさ全てを兼ね備えた DJEPICAL な曲に仕上がりました。T1 や先行公開された2曲も非常にキャッチーで新しいファン層を取り込む事に貢献するでしょう。T9 KAIKOMA で日本語のナレーションが使用されているのも嬉しいですね。SKYHARBOR が最早プロジェクトではなくタイトなバンドとなった事を証明する方向性のしっかり定まった傑作です。 THIS IS POST-DJENT!! Guiding Lights follows on from the critically acclaimed 2011 debut ‘Blinding White Noise: Illusion & Chaos’ which won the band fans worldwide, including Lamb of God who handpicked the band to support them in India and saw the band picked to play at festivals across the globe including Euroblast, Techfest, Download, and Graspop and resulted in awards for Best Song, Best Album and Best Band at the Rolling Stone India Metal Awards. AND YES!! WE NEED MORE, ANUP!! Vishal : I am good. Thanks. Japanese food, martial art, Cornelius, Yellow magic orchestra. Q1. 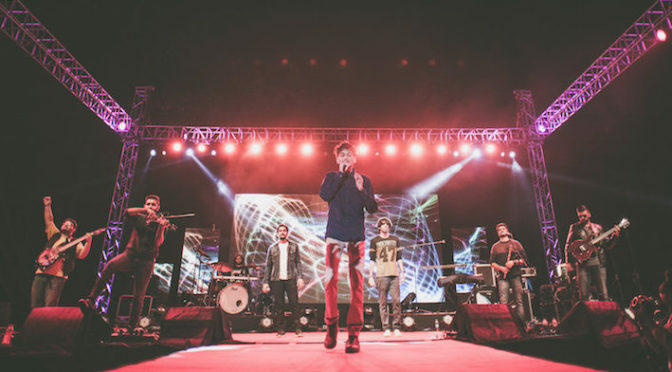 Amogh Symphony is a multinational band from India, Russia, and US. I think Amogh Symphony began as solo project of Vishal. How can you,three members, get together? 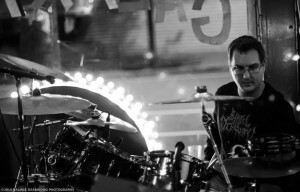 Jim : I am Jim Richman, drummer percussionist for Amogh Symphony. I have been playing the drums over 30 years. I like ALL kinds of music. I like going to thrift stores and going through CDs, looking for ones to sell on Amazon. My drumset is a MADE IN JAPAN Tama Exotix 2005 Red Viking Bubinga kit with a Scandinavian Birch finish. I like all different cymbals. I use Vic Firth 5A and also 6A Birch sticks. 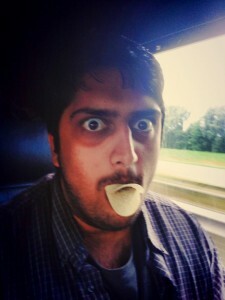 Somehow, Vishal saw a video of me playing drums on Youtube. Thru Myspace, he would send me demos of his to check out. I would tell him what I thought. Fast forward and Vishal did ATOS. I knew he did it, but never heard it. Vishal asked if I would want to do a Richman/Singh Project. He sent me a short track to do drums on. 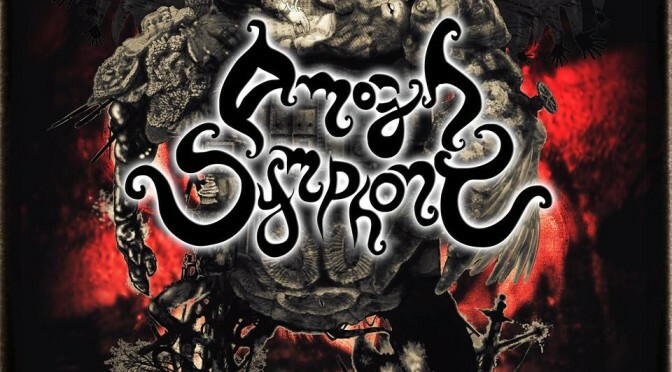 I did that and realized it had to be Amogh Symphony. So I joined. Then Vishal found Andrey at the playground on the monkey bars. Q2. And would you tell us your musical upbringing? 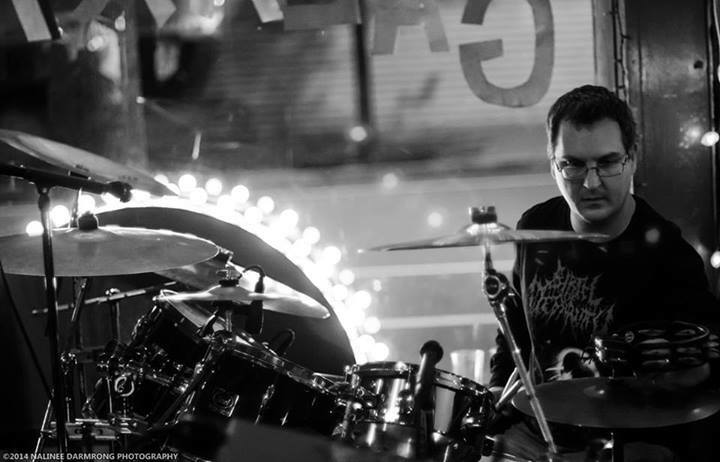 Jim : Started drums in high school. I would play along with albums of The Who, Men At Work, Missing Persons, Chicago etc…a lot of classic rock. Went to college, studied music, played in the Jazz Orchestra. I became a jazz snob and completely lost connection with pop music for 5 years. After, I made a habit of studying with the best teachers on the east coast. 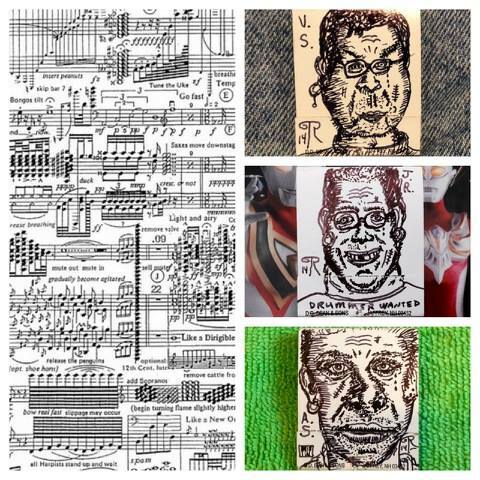 Jim Chapin and Joe Morello were instrumental in my hand technique. I always have been into studying jazz. I play a little bit of keyboards, mainly chords of songs. I know how to put together chords. I think every musician needs to learn as many chords as possible. Q1: Anyway, Let’s talk about ‘VECTORSCAN’. I think lots of your fans surprised at drastic change of your music. 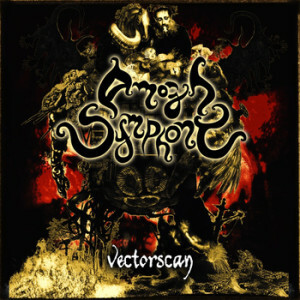 Vectorscan is very different from Amogh Symphony’s earlier albums i.e. 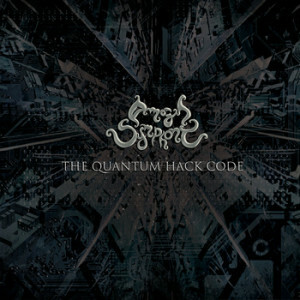 ‘Abolishing the Obsolete System’(2009) and ‘The Quantum Hack Code’(2010). Do you agree with that? From your website and fan page status updates, we read that lyrics are written in Assamese by Vishal’s late grandmother Labanya Prabha Nath. Vishal’s mother takes part in as a singer. There are lots of influences by traditional microtonal music and Mongolian/Asian Ethnic music. Please kindly tell us more about this. How all this happened? Vishal : With every album, creating something new and different from previous material are what we always focused at. The first album ATOS was completely done by me alone. Then Jim helped me to upgrade the sound in second album TQHC. In this third album release, Andrey brought the microtonal and ethnic influence in the new album on which I studied further. Actually, it took me almost 3 years to study and explore further because I simply cannot stick to just one style and one sound. The concept story and some stanzas from poems/songs I found in my Late Grandma’s books had a strange puzzling connection that took me some time to figure out. Now, I was looking for someone who can sing like her, feel like her and sound like an advanced version of her voice. The only vocalist who could do that is my mother Kasturi Singh. She has a strong background in classical music, traditional dance, poetry and stories/ stage-dramas. She has control in microtones, intonations, vibratos and also she is versatile i.e she sings multi-styles of singing – jazz, classical, opera, Assamese folk etc. As a composer, I believe sticking to standard style of prog-rock or avant-garde music or jazz fusion makes things a bit uninteresting. Because for me, it’s important to see chemical reactions between different chemicals when mixed….that’s how I see the sounds. Jim : Vectorscan is the polar opposite of TQHC. And also there are jazz, 10% metal, lo-fi electronic, etc. etc. But all in a background music score or soundtrack format. Andrey: This album is more like a soundtrack to a movie rather than a ‘regular’ album. When you watch movies, you’re not after details. You need the atmosphere and the idea. And we’re delivering both. Q2:Vectorscan has very magnificent concept story. Is the story of Vectorscan related to the concept stories in ‘Abolishing the Obsolete System’ and ‘TheQuantum Hack Code’ or is it a completely fresh new story which is not related to previous albums? 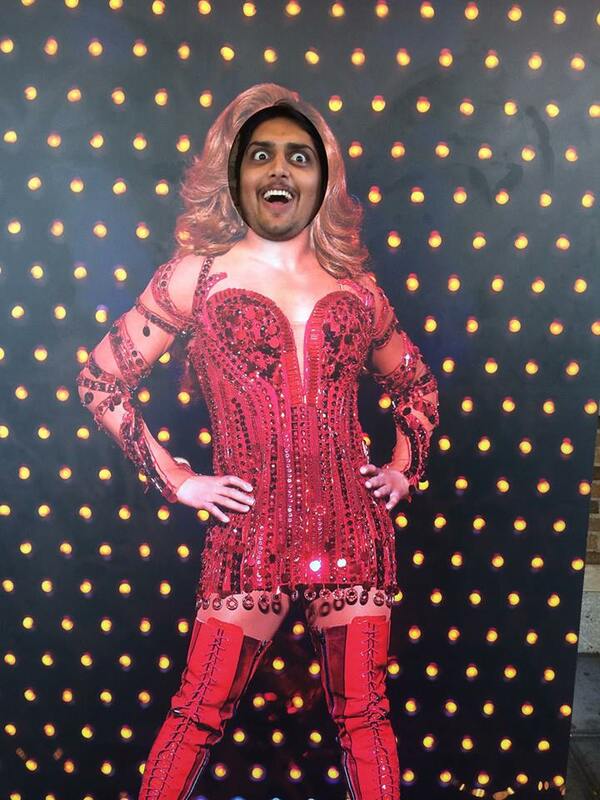 Vishal : It is. You can say that it’s a trilogy. I don’t mind at all. Q3:At first, I think Osir is a metaphor of China and Karna is a metaphor of Tibet. But Karna is a character from a hindu epic… Or is Osir a metaphor of Modern Society?? Does this story relate to real world? Or is this fully fiction, no metaphors whatsoever? 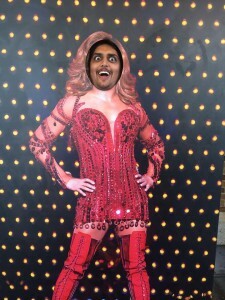 Vishal : Well, you have the story. If you read it more times, you will come to know it’s fictional, it’s related to real world and it can be just an imagination. We are thinking of posting the entire story on our site after release. It’s hard to explain in words. You just need to read it few times and think about it and understand it. I mean, what’s the point if things were all simple and straight-forward in life? Food for thought. Fuel for brain. If not a full featured film, I would love to arrange theater play on these stories. Q4:’Junaki, Osinaki. Dhumuha, Saki.’ has aspect of Japanese traditional music. Is that right? And I heard Andrey can understand Japanese. What is Japan to Amogh Symphony? Vishal : Junaki, Osinaki. Dhumuha, Saki is in Assamese. If translated to English, it means “A little glowing light, unknown. Storm, Lamp”. 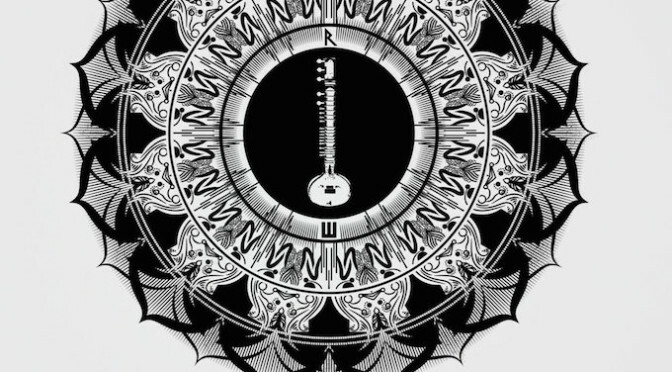 If you notice, the song titles are mostly written in rhyme-puzzles style or you can say hymns/mantras/chants styles used in tantric practices. Musically, it has Japanese traditional music influence with classical orchestration and jazz-metal. Andrey is specialized in traditional Japanese and Chinese music and instruments. Andrey: What you said is correct. The arrangement indeed has a rather dark, sinister vibe to it, which is inspired by Japanese music. And yes, I speak some Japanese (along with some other Asian languages), I’m not too good though. As for Japan, it is indeed a bottomless abyss of a source for inspiration. Especially popular culture. Jim : Japan is the one country that has bought the most CDs from us. We have great support from Kazuo and Asian Rock Rising. He has distributed a lot of CDs. We love Japan! As a matter of fact, a music school group in Japan, the Waseda Chanson Society, actually played one of our songs off TQHC. And it was amazing. They played it better than us. Q1:Tell us about your inspiration – Krzysztof Penderecki. What is Avant-Garde according to you? Vishal : Krzysztof Penderecki is one of the greatest influences for many avant-garde composers and theaters. For me, avant-garde is a state of mind where you begin to think after complete evolution. An edge of thought where you think of crossing the barrier once you’ve read and understood all instead of directly jumping to a new concept. A certain point where you believe knowledge could sometimes bring back some of the old concepts to replace some of the new ones. Fixing the mistakes of the neo-generation because the upgrade demands stability which neo-minds fail to execute due to lack of knowledge in history. It’s important to know “what all happened in all these years” before you think “what should come tomorrow”. A bridge between spiritual development and practical life where you can cosmic heal a disease yet you learn modern business statics. Basically, no boundaries. Andrey: Easily one of the best avant-garde composers. You could say, he was one of the fathers of ambient music. 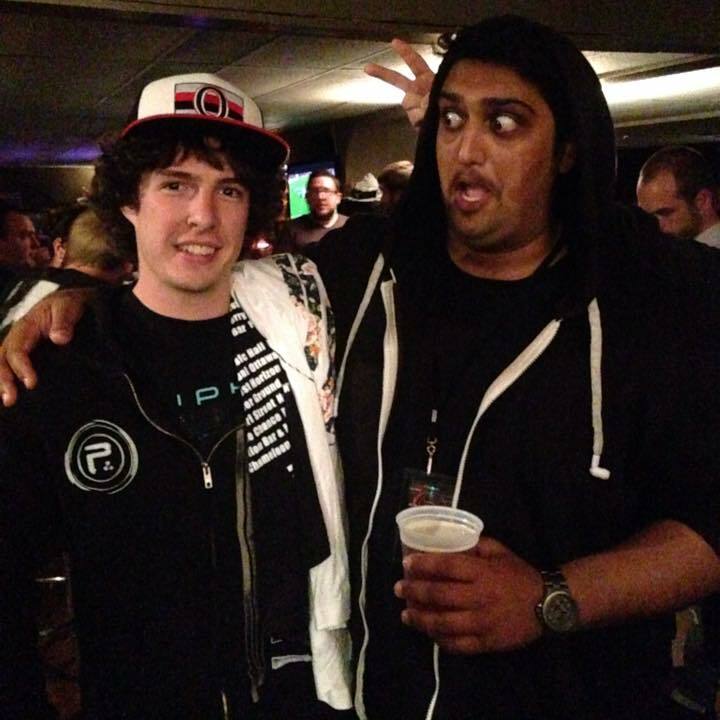 Q2:Do you think you are still involved with prog-rock/metal scene? Or does your interest focus on avant-garde/contemporary/jazz soundtrack music? Vishal : The music itself is a complete misfit, it is very unstable. With all due respect, I don’t really know. But for now, it’s soundtrack music for ears. Jim : Throughout my studies and playing, I always tried to play many different styles. I fit right in with contemporary/jazz, avant-garde, pop. I like playing music with dynamics and feeling. Andrey: Genres kill music. When you want to simplify understanding, you create genres and styles. But music exists outside the boundaries people set. Call it ‘original soundtrack’ if the name makes it clear and simple for you. 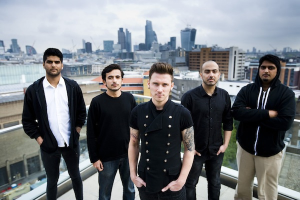 Q3:So the core members in Amogh Symphony are multi-instrumentalists and composers. In addition to that, this album has a lot of instrumentalists, engineers and singers. The horns and brass sections are unbelievably unique in the songs. Tell us more about it? 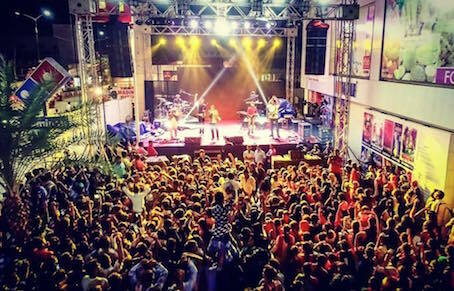 Vishal: This time, I wanted to get an entire big band together. But I wasn’t happy with same old classic brass sections I hear in every record these days. Nothing bad about that. 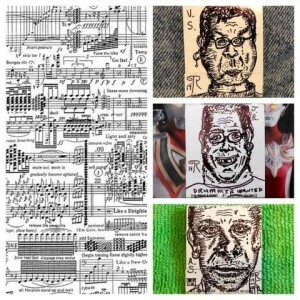 I work with different artists every day and produce different styles of music every day. Just tired of hearing the repetitive sounds again and again. The Goregaon Brass Orchestra is a bunch of horn players from this place called Goregaon located in Mumbai. My friend Venkat Iyer with whom I’ve worked in many commercial projects founded and recorded/engineered these phenomenal guys. Venkat is an experimental engineer/producer and I always wanted to include him in this album. He experiments a lot in recording/engineering with strange artists and musicians. Andrey played many instruments in this album. 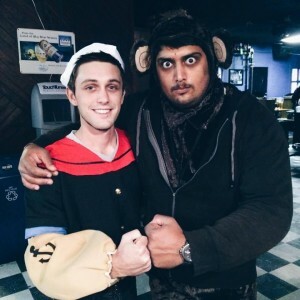 Then Mathieu Marcotte (Augury, Humanoid) introduced me to Youri’s monk vocals which he recorded and engineered. 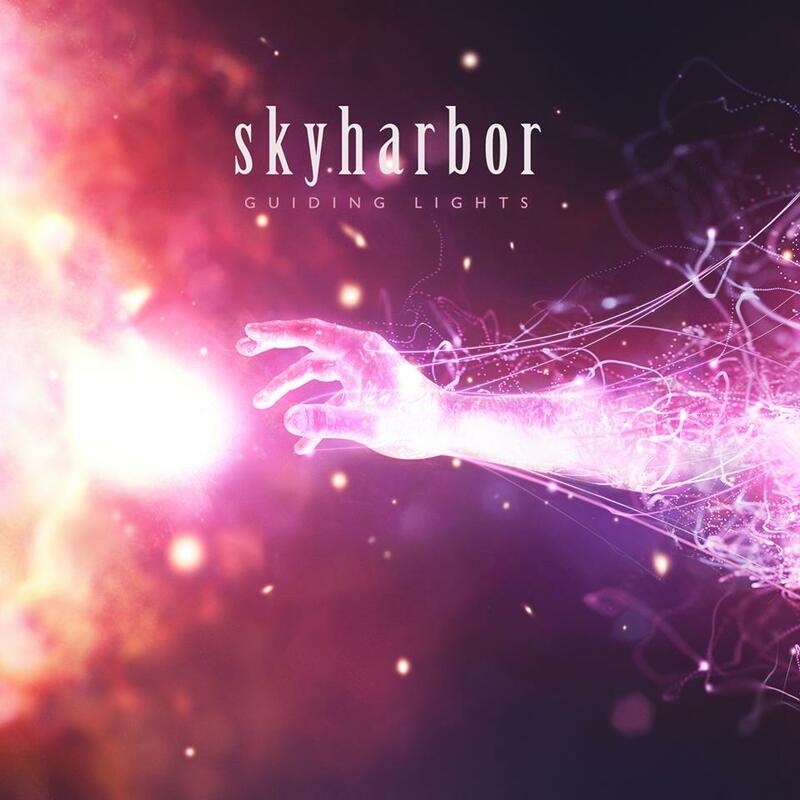 Youri is a stellar guitarist and experimental vocalist in his band Unhuman.Andy Nesbitt’s photography with cosmic and supernatural subject helped Andrey and Vasiliy to collaborate and create a great artwork for the album. Nikhil Nandakumar’s Carnatic microtonal harmonized violin, Shankar Das’ phenomenal microtonal trumpet work. Guest bass work of Manas Chowdhary in one of the tracks. My mother Kasturi Singh’s vocals and late Grandma’s mysterious poetries. It’s a full-fledged symphony. We need larger and bigger stage now if we ever decide to perform because there is absolutely no chance of using backing tracks. Andrey: The endless album recording sessions were filled with experimentation. Prepared instruments, original one-of-a-kind playing techniques, inventing new approaches… The idea we had in the beginning was ‘to have the sounds of the whole world stuffed into the album in the most eclectic fashion’, but in the same time the sound would need to represent the concept. We tried to keep it as minimalistic as possible, but still ended up with something super dense. The album was re-written and re-edited dozens of times. Q4:Would you tell me five albums that changed your life? Andrey: I could name thousands but they won’t fit. The awesome thing is, any musical album has at least one message. Many of them influence our choices. I can’t be more specific. If you’re looking for suggestions, you’d rather start a habit of listening to a ‘new unexplored genre’ every day. This simple technique is sure to make your life and musical scope way richer. Jim : Every album changes my life. I will list some good ones. Chick Corea Elektric Band 1986. Come on, any drummer who was serious about the craft of drums heard this, and wanted to practice or quit. The 5th Dimension – The Magic Garden 1967. Was this the first concept album? Incredible stuff. We are also looking forward to “Part 2 under progress”, What is your target now? Finally, Message for Japanese fans!! Jim : Thank you Japan!!!! Vishal : Thank you. Andrey is settling in Tokyo soon. Visit us at http://amoghsymphony.net and http://www.facebook.com/amoghsymphony . 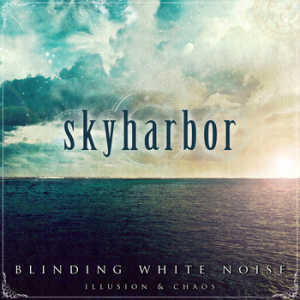 Hope you guys will like our new album. Andrey: Douzo yoroshiku onegaishimasu. Please enjoy our album, fan no minnasama! Cheers.